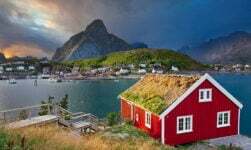 Home › Travel News › Is the Fairytale Over for Norwegian? Is the Fairytale Over for Norwegian? Norwegian's rise has been nothing short of an aviation fairytale, but what does the future hold? It is without any doubt one of the greatest success stories ever seen in the travel industry. From their humble beginnings operating three Fokker 50 turboprops around western Norway in 1993, Norwegian Air Shuttle today operate 98 aircraft to destinations as far afield as Los Angeles and Bangkok. But with political and operational problems plaguing its long-haul service and staff issues galore in its home Nordic region, founder and largest shareholder Bjørn Kjos faces a serious challenge to save his airline's reputation. During the last decade, Norwegian quickly grew from small domestic airline to establish itself as a low-cost competitor to SAS, launching flights to popular high-traffic destinations such as Copenhagen and Warsaw. After spending US$ 3.1 billion on a brand new fleet of Boeing 737-800 aircraft, the young airline had better planes and cheaper prices than SAS, taking a massive chunk out of their market share. The long-haul operation that was first talked about years before was launched in 2012, and it's here the problems began. 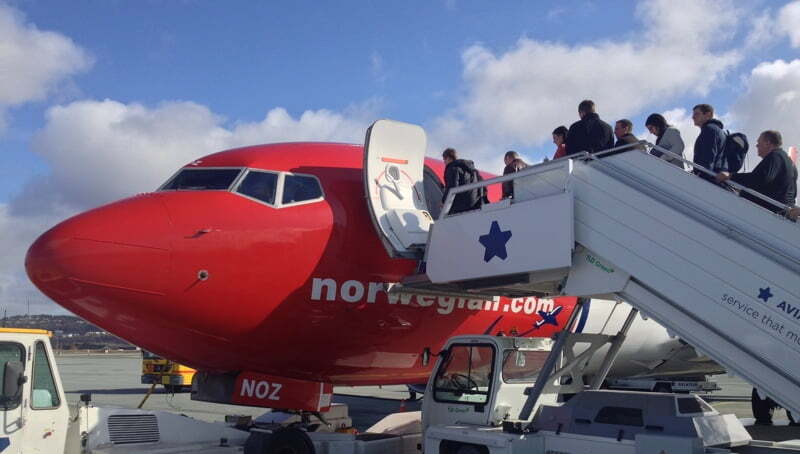 The low-cost model works so well in the Nordic region because planes are like buses. Flights zip between major cities several times an hour at peak times, moving the region's business and leisure travellers over otherwise difficult terrain with ease. If an aircraft is hit with technical problems or a pilot is sick, it's straightforward to replace the plane or crew, or move passengers to an alternative flight if required. Norwegian's long-haul operation is run lean, with just one plane available to move passengers between Oslo and Los Angeles, for example. The next day that same plane might be utilised for an Oslo to New York route. If that plane suffers technical problems or crew problems in Los Angeles, there is no alternative but to wait, causing a delay to not only the Los Angeles departure, but the London one too. Although the low cost model of non-refundable tickets, a per-bag charge, food and drinks for purchase, is applied to long-haul, it's these operational reasons that have prevented a true low-cost long-haul model from (pardon the pun) taking off. When my SAS flight back from Newark to Oslo was cancelled last year, I was rushed to the Copenhagen departure and actually arrived home earlier than I would have on my originally scheduled flight. That is impossible with Norwegian's long-haul model, which is why I won't fly with them – although I do use their short-haul service within Norway and occasionally within Europe. Ireland as a flag of convenience? The second major problem to hit Norwegian was politics. Norway has some of the highest labour costs in the world, so running an international low-cost operation with Norwegian crew was never going to be financially viable. After being refused permission to hire Thai crew, Bjørn Kjos spun off the long-haul operation into an independent Irish-registered company to fall under EU regulations. This didn't go down well in the USA. 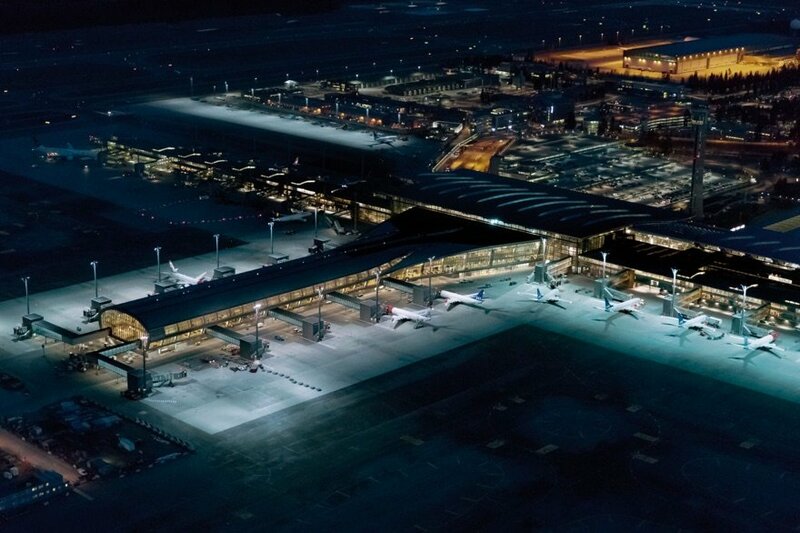 Third and most recently, a series of strikes by Norwegian pilots is hitting Nordic travellers hard. Today alone, an estimated 35,000 passengers were affected. In another strike last week, the airline was criticised for bringing in pilots from elsewhere, and even moving staff from desk jobs to ensure flights went ahead. 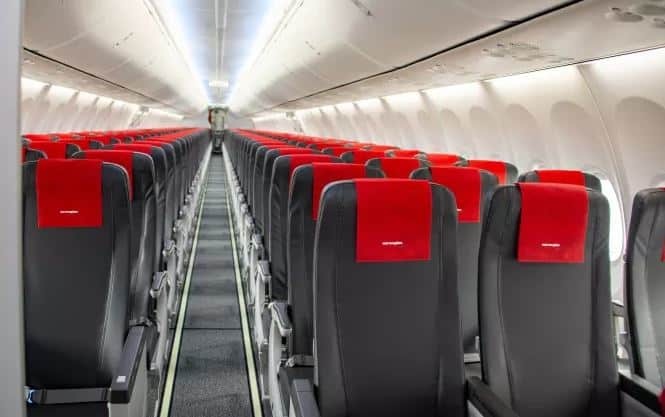 Rumours circulated in the press last week that Norwegian wanted a conflict in order to bankrupt its Norway subsidiary and lay off the 200 pilots employed through it. Despite the seriousness of the problem, the satirical arm of state broadcaster NRK are piling on. If you speak Norwegian check out this video, although to be honest you'll probably understand even if you don't! These are undoubtedly tough times for Norwegian. They are competing against low-cost carriers, flag-carriers, and labour unions in their home markets and against a questionable business model for their long-haul operation. All this is risking their reputation that took years to build. If they can resolve the differences with the unions, then Norwegian's domestic and inter-Nordic operation should continue to thrive, even with a small price increase. But I doubt the viability of their long-haul model, unless they expand it significantly or join an alliance. Did Bjørn Kjos get too ambitious? Very interesting article indeed. 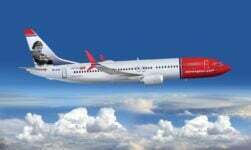 I have used Norwegian several times and I think that they are a fantastic low cost carrier. I hope they do manage to sort things out! 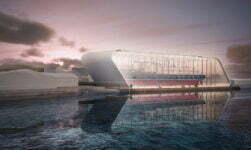 Have been following the growth and development since my days in Tromsø around the shift of the century. Norwegian did a great job in Norway, but then it grew too big too quickly. The parallels to the rise (and fall?) of Air Berlin are striking. “which is why I won’t fly with them” — this seems to be a common refrain from people around Trondheim . I don’t know why or what it means. But I suspect it comes from a position of ignorance. not one of reflection. It was/is in the case of Martine, my friend who said the same thing. 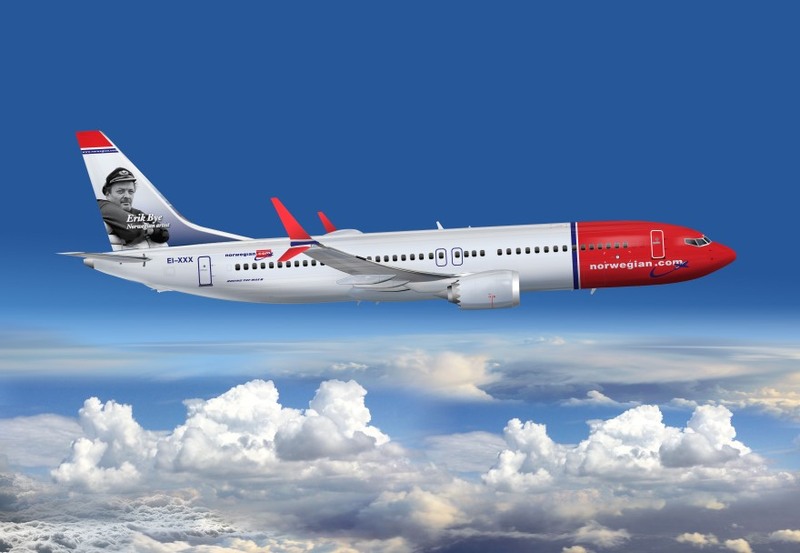 Norwegian offers $100 roundtrips to Nice from Trondheim with free Wifi. A bed is a bed and a plane is a plane, if you sleep on it and are there when you wake up I don’t think you should really let yourself be fooled by the logo on the outside. Norwegians are a bit more gullible and liable to fall for the brand-status trap that most reasonable adults grow out of. The other point I took issue with in this article is the insinuation that there is something wrong with having a company based in Ireland. Ireland is a first world country, also with strict regulations on its labour market practices. But, it is also a country that has taken pains to be competitive for international business. And it is has been winning in that. It won Norwegian’s business. That’s it. I don’t know many managers who could justify spending their company’s money on confused nationalist principles. Hi Gareth, thanks for the comment! I think you misunderstood my “I wont fly with them” comment. I do take advantage of their fares to the UK, Germany and Spain. I’m talking about long-haul and the likelihood of delays, nothing to do with the on-board service. And also I’m indifferent on the move to Ireland – merely curating the comment that has gone down in the Norwegian and American media. First of all, Ireland is notorious for cracking down on labour unions – which are one of the foundations of the work life here in Norway, and the main reason for our equal welfare system. They fought for public schools, universal health care, free education, not to mention nationalising the oil – something which has proved ingenious for Norwegian wealth. Not to mention the tax laws are much laxer. I think this is what people think of when they think of businesses moving to Ireland, and thus it is slightly frowned upon. I have lived in Ireland myself – lovely country, but I would much prefer the Norwegian system. This, as far as I can tell, is also the problem most Norwegians have with Kjos. It is seen as rude and ungrateful to betray this system, as – the way a lot of people see it – the Norwegians are who made him rich. He got a free education, health services when he needed it, Norwegian customers chose him – and now he acts as if Norwegians are trouble-makers because the labour unions don’t like where he’s going with the company. In other words: Norway and Norwegians gave him the opportunity to start and run a company, not to mention supporting it by choosing it. It is seen as unpatriotic, in a way, to do what he does now – prioritizing his own fortune, trying to evade taxes (seen as trying to avoid paying back the society which turned him into the rich man he is today and gave him a free, solid education), trying to lay off his Norwegian employees etc. You might call it “misguided nationalism”, but a lot of Norwegians know that if we accept the kind of conditions Kjos is trying to create, our entire system of labour (with the negotiations between the three parts: the unions, the employers and the state) will eventually fall apart. And that system is what has given us the free and equal society that we love. It is what has made sure the income from the oil does not end up in the hands of foreign CEOs, but goes back into the Norwegian society and economy. It is what has made sure we have free schools for our children, five weeks of vacation, parental leave, virtually free higher education for everyone and thus one of the highest educated populations in the world, the popular “allemannsretten” – all men’s rights, a right to roam the wilderness also if it is privately owned, an access for everyone to our beautiful nature, to mention some things. For us it is about the core of society and what kind of society we want to be, not just about this company. I could not care less about Kjos’ fortune, but I do care about my country and our equality. I do admire the Norwegian model, that’s what has made Norwegian a lot happier than us Americans with our cutthroat capitalism. Ireland has low corporate taxes. That is why Apple is there, I believe. All this should not increase safety concerns. They have been flying 20 years without an incident. “and thus it is slightly frowned upon.” Right you are, but these are not good reasons. Jante Løven springs to mind . 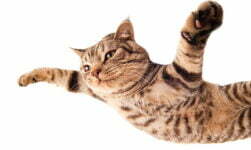 The company is ambitious and forward thinking, and provides a cheap and great service . Very comparable to Ryanair , it also gave SAS far too much competition and this is a big no no , as they are state suported by a traditionally leftist government. Instead of supporting a Norwegian success story , the backward thinking do gooders would prefer to see it`s demise , as i am sure they would Ryanair. For many , including me , these budget airlines are a lifeline ( no sea route to GB any more ), and it would be a crying shame if the only choice was the extortionate prices offered by SAS . If people don`t like the terms and conditions offered by Norwegian, then find another job, i am sure there would be plenty of takers, not necessarily Norwegian citizens . Let people choose their own way in life and not feel pressured by the left wing masses who try to dictate nearly every aspect of life in this country . Well, yes, if the most important for you is travelling cheaply – and for a lot of people it is – I can see where you’re coming from. But personally I much prefer a free and equal society with a good welfare system than crappy, privatized welfare and cheap flights. This is all part of the same process as I mentioned above, attempts from big business to tear down our societal system so they can make more money, but most of us have nothing to gain from it although it might seem that way if you don’t think far ahead. In the long run the high-cost society with a well-functioning welfare system is much more profitable for us as individuals and our families than a low-cost society with cheap plane tickets. I never fly Ryanair and I am a student, so it’s not exactly like I am awash with money – we are dependent on flying in this country, with the landscape and distances that we have, but flying should never be the cheapest option, for safety reasons (I wouldn’t feel safe in Ryanair flights for instance as I know they cut down on everything – including rest time for pilots – to save costs) and for environmental reasons. As a former Norwegian Long Haul cabin crew member, I can shed a little light on the situation. 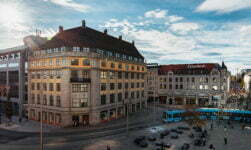 The business model that Mr. Kjos envisioned was a good one even though it is frowned upon by the people of Norway. I want to make it clear that the business model will not be the demise of the long haul operations but the STAFF that are hired will eventually cause the collapse. I cannot recall a single trip where at least one cabin crew member did not call out sick. Sometimes we were lucky enough to have a reserve member. There have also been times when I was simply positioning to another location to start my duty and I was called upon to work because someone didn’t show up. A company cannot function reliably when the workers do not have integrity. Came across your article while being delayed for 28 hours… Yes over a day delayed with Norwegian airlines flight from London Gatwick to Oakland California. Never have I experienced a company with such a lack of customer service and information. I’m finally boarding my flight and I still have no idea if we’ll take off today. Their long haul model is atrocious. If this were any other airline they would have put us on another plane or used an alliance. I will never fly Norwegian again. Let’s not overestimate the power of alliances and big network companies. When there is a failure, it is always a problem. For a more recent event: In January 2016 we have flown, with my wife, from Vienna to Beirut on TK via Istanbul. I will never forget 6 January 2016. There was an extremely long taxi after landing in Istanbul. Extremely long means perhaps an hour or so. Then we disembarked by bus, and passed to the terminal (passengers from Europe originating flights are free from security check). So we settled in one of the lounges (accessible with our Priority Pass cards – that was a great advantage), and waited. Not so long before the scheduled boarding time I got an SMS (advantage of having registered my mobile number during e-check-in) an SMS that our flight to Beirut was cancelled. I left my spouse in the lounge, and left with two boarding passes to seek a transfer desk. There was none. The entire secured airside of the international terminal in Istanbul is free of any transfer desk. The only way is to descend one floor through a dark and ugly staircase approach a security officer and ask to cross the security point in a countersense — you have to give all details of your case, or it is NO. When you exit, there is a big transfer desk (usually unmanned) of Turkish Ground Services (a subsidiary of TK) with a big label “Turkish Airlines Transfer Desk is not here”. So you turn left, walk a little while around arrivals gates and find the TK Service Center. There was a long queue, in an hour I go new boarding passes, went to Security, underwent their check, and used an escalator upstairs, went to the lounge and joined my wife. When that new flight got cancelled, I tried the same, the queue was much longer, the crew at the desk was replaced by ladies saying “NO, I CANNOT DO ANYTHING, THERE ARE NO FLIGHTS”. What to do? No information. OK so the situation was worsening over the following 5 days. It was caused by snow. There was a lot of fresh snow everywhere in Europe. I was in a phone contact with an airline pilot, who was landing and taking off on snowy and frozen German runways, where the crews cleaned and re-cleaned aprons, had to de-iced some aircrafts twice until they got to the white skies. That pilot was furious after looking into reports and comparing those airports with Istanbul. So there was a problem in Istanbul, there was no help from Turkish Arlines that are in Star Alliance. We were simply 5 days jailed in Istanbul. I paid the hotel and extended it on daily basis, because 3 km hotel queue by Turkish Airlines was unacceptable. We did two trips daily to the airport to get a re-booking that was later cancelled. When we finally left Istanbul the flight was half empty — TK were not even able to properly fill the planes with all stranded passengers. We four on our arrivals that our bags were in Beirut two days before us — on which flights? We were denied any earlier options. Probably those earlier flights were also booked only on paper and were flying with empty seats. You waited 28 hours, you were entitled to what the EU regulations give you. We were 5 days outside EU. It’s no longer worthwhile to transit via Turkey for cheaper airfare. The airport is a nightmare and the Turks are rude and unhelpful. For a more distant European experience: We (my wife, me and two kids) were flying in Mid-Late 90s (still a golden age of air travel with all perks) from Vienna to Geneva. A short flight for which we got with Swissair tickets on a codeshare flight with Austrian, operated by Austrian. The flight had a technical problem that showed up just before take of procedure. The pilots slowed down engine and took an exitway, stopped there, we were disembarked by bus. A friendly hostess welcomed us to the bus, took a seat next to the driver. She disappeared earlier than the driver opened passengers’ doors. That was it. No information on boards, no staff at transfer desks. Nothing. Two Swissair flights left Vienna, and there was no chance for us to get re-booked / re-routed on those. It took several hours before they displayed our flight number and set boarding and departure times. The gate changed a couple of times. It was almost 12 hours later, when the flight left – 1 hour prior to what was announced on boards. The aircraft was almost empty. Some passengers probably found an alternative, but surely many missed the boarding due to a mistake. 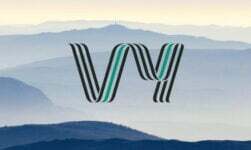 We were offered a voucher of CHF 300 for a future travel – as a compensation (1 voucher / 4 passengers) – it was a joke, I have thrown that voucher to the garbage. Do you still want to compare this to Norwegian? I would not. I speak about the Swiss pride on the skies Swissair, the Austrian state monopoly Austrian Airlines and Vienna Airport that is the most important in Central Europe. We flew from Bangkok to Oslo and Oslo to Orlando. The flights were fine. The people in Oslo were some of the rudest people I’ve encountered with no respect for their exceptional counterparts in Bangkok. Do not fly with this airline at all cost.My daughter flew from Santorini,Greece to London on May 27th 2017.The stewardess took her Apple Pro while she went to the bathroom.Their baggage handler Swissport along with Nowegian Airline have told me to call the police and will not reimburse for the cost of lap top.Even though the stewardess told my daughter that she took it and had it turned into airport before the plane took off.Acording to Swissport in the USA they said the stewardess did not follow protocal. They are required to ask the passenger if the item is hers.It was actually under her seat with her backpack on top of the lap top when she went to the bathroom. Good job with this article. The wheels seem to be coming off by the day. Not just delays, but days and days of no information and ever-changing “estimated departure” times. There is another long-haul start-up with the same approach as Norwegian by the name of Scoot, owned by Singapore Airlines and headquartered in Singapore. Same model and fleet of 787s to an ever-growing list of destinations. Doesn’t have the same problems, I think. We were flying out on the 27th March, suprise birthday to New York. Flight time changed was able to let us know. Our flight was cancelled and no one informed us, and they knew plane was still in JFK. We tried to book on line not able to, checked flight times still on time. We went to Gatwick tried to print boarding pass, came up to see a attendant, We went to desk to be greeted with flight cancelled, no reason and gave us a piece of paper with telephone number. We rang the number to Norwegian and was told they had no flights to the 30th March which was no good for us as we both work. They still did not tell us why the flight was cancelled. If we had been informed we could have try end another alternative. No apology. from Norwegian. We are still very upset as we had pre-booked our trips. We won’t be flying Noewegian again. I used to work for Norwegian as cabin crew for long haul from lgw. They are disgusting the way they treat crew .